February is a special month to me because of my Bday, my Marriage Anniversary and Valentine's Day. 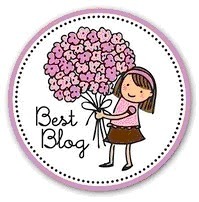 However it was made more special by YOU....my friends, who spread so much love on my blog and conferred so many awards. 1) Link back to the person who so graciously bestowed the award. 2) Nominate 5 others to receive this prestigious award. 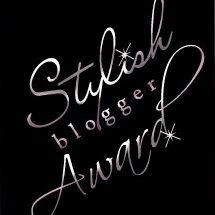 3) Then Lastly, Post the award to my blog and spread the love. P.S. This was a random pick, however you gals made a special place in my heart...Thanx for all the support provided whenever I needed it the most. It's that time again when YOU friends overwhelmed me with such a good response to my first giveaway. Wish everyone could win...however, you all are winners in my heart. Also, I want to surprise you with another amazing international Giveaway on my blog soon....Do Check out !! OMG, congrats on your awards and I'm so surprised and excited I won the Bottica giftcard. I never win giveaways!! Thank you so much! And I am so happy tht you nominated my blog! Awwwwwwww.. The best surprisee.. Thank you so much dear.. So many awards..
Can't just thank you enough dear!!! Me? wow, I am really suprised and honoured! I thank You so-so-so much, it means a lot for me! Ps.I am so sorry that I am so not online and active, it's a really hard time for me and I am trying to do the best to be at least a little bit more active. So, I am really sorry! Congrats on your awards babe!! I am following your blog . It would be great if you Follow back my blog. Do you want follow each other? 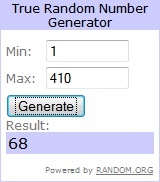 I was only 1 step to win the giveaway (67) hehe. Congrats with your awards! you totally deserve it! Aww! Sorry I overlooked this! 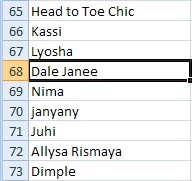 I saw my name now!